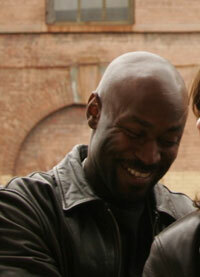 Anslem Richardson is an actor, writer, filmmaker and visual artist. As a writer, he is a Screenwriting Fellow at Film Independent with his screenplay Bardos; which earned him the Tribeca All Access Creative Promise Award in Screenwriting. Anslem was selected to participate in The Guy Hanks and Marvin Miller Writing program at the USC School of Cinematic Arts established by Drs. Bill and Camille Cosby. He is the recipient of The Independent Feature Project's Gordon Parks Award for Screenwriting for his screenplay, The Subway Story. As an actor, he appeared recently in The Amazing Spider-Man 2, and next in the films After We Leave, El Ganzo and Warrior Road. His film The Locksmith (dir. Brad & Todd Barnes) received the Best of NEXT Award at the Sundance Film Festival and Anslem was awarded the Maverick Actor Award at the Method Fest Film Festival. Other films include Black Rock, by director Katie Aselton and writer Mark Duplass (Sundance); and the critically acclaimed Five Deep Breaths, by director Seith Mann. Television credits include Ncis: Los Angeles. Off-Broadway credits include The Exonerated, directed by Bob Balaban. Anslem formed the production company ThisThing Films with partner Marin Gazzaniga. Their first short film production Like So Many Things...Unsaid became a finalist for the IFC/Redbull Media Labs Competition. It spawned the web-series Like So Many Things... which aired on The Independent Film Channel and IFC.com. Anslem and Marin recently completed the second season of the LSMT series. Anslem is currently developing the film Winter Spring Summer Fall WInter - a single-narrative with three fellow writer-directors. It will be his feature directorial début. Anslem is repped by Sonya Rosenfeld and Jacqueline Sacerio @ CAA and Thomas L. Carter @ RSG for literary; and Edie Robb and Jennifer Sclar @ Station3 for theatrical. 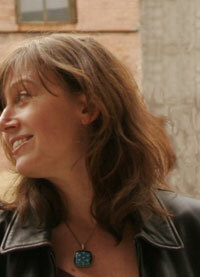 Marin is a writer and producer for stage, film, TV and digital. Her first play, So Close, was produced with Rising Phoenix Rep and received a Pilgrim Project grant. She adapted and co-produced the film version, which screened at New Filmmakers and Cinewomen in NY. Her plays have been developed by LAByrinth Theater Co. and Primary Stages ESPA, among others. She is a two-time semi-finalist for the O'Neill Playwrights Festival and a finalist for the Heideman Award. Currently she is working on a play adaptation of Caught in the Pulpit by Daniel Dennett and Linda LaScola, based on interviews with non-believing clergy. She has written for the Emmy-winning season of the children's show Arthur; and produced award-winning content for HBO Digital and Turner. Most recently she was co-head writer of the online re-boot of One Life to Live for Hulu. Marin has also worked in journalism as a writer and editor (NBC News, Vogue, MSN.com) and has written and edited several books, including the critically acclaimed The Breast: An Anthology (Global City Press). She has her BA from Columbia and her MA in Creative Writing from City College and is a proud member of WGAE, SAG and the Dramatist's Guild. She maintains the blog Deadline-Gowanus.com. Marin founded ThisThing Films with Anslem Richardson.